Lexus offered the pre-facelift NX with two drivetrains, one being the 2.5-litre hybrid and the other a 2.0-litre turbocharged petrol. However, at the model’s facelift in 2017 (which only subtly enhanced the looks, instead being more of a technology update for the NX), the 2.0-litre petrol was dropped and it was never officially offered here in Ireland, meaning any scant examples you find of it on the used market will be UK imports. Thus, the 300h-badged hybrid is the only NX to consider as a second-hand purchase. It paired a 2.5-litre Atkinson cycle four-cylinder petrol engine, rated at 155hp, with a 105kW (143hp) permanent magnet synchronous electric motor. Combined peak power was 197hp, allowing the NX 300h to record 0-100km/h in 9.2 seconds – all while offering 54.3mpg (5.2 litres/100km) with CO2 emissions of just 121g/km. 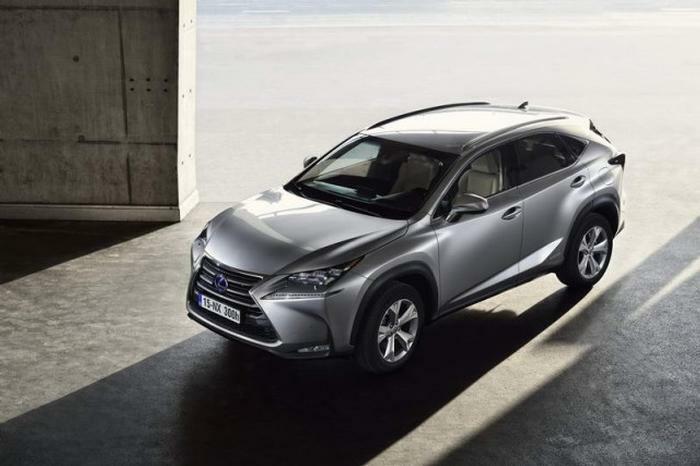 Lexus Ireland offered the NX in a five-trim range that ran S-Design, Dynamic, Executive, F Sport and Premium, with the first two grades being front-wheel drive and the highest two all-wheel drive; only on Executive NXs was AWD a cost option. All models of NX, be they 2WD or AWD, are fitted with an e-CVT gearbox, which is perhaps the vehicle’s weakest point – under full acceleration, the e-CVT allows the engine to rev right out and stay there, which makes the Lexus noisy when enacting overtakes or nipping out of tight junctions into busy traffic flow. While there are more polished mid-sized premium SUVs from European rivals, the Lexus NX cuts quite a dash with its origami-like bodywork, and the hybrid powertrain of the 300h model makes it a tempting alternative to the mainstream diesel elite. There are a few compromises to swallow if you’re going to go with the NX, but if you’re tired of smoothed-off, derivative SUVs, the Japanese model is well worth checking out.